We've waxed on about French beauty for years now—researching the best French makeup brands, a French girl's approach to "dieting," winter's biggest makeup trend according to a French MUA, hair products French women can't live without, as well as a conversation with two women of color on the issues with America's idea of "French beauty." So yeah, we're into it. There's just something about French products that keeps attracting us, offering low-maintenance, feel-good formulas and results to match. We set out to find the best skincare brands France has to offer (ones that are available in the U.S.) and did a lot of testing, trying, and reviewing in order to come up with the cream of the crop. Below, find six favorites, some that have served us for years as well as a few we just discovered. We asked makeup artists, skincare experts, and a few French readers who know their stuff when it comes to skincare. The result was a list of goods suitable for many different skin types and tones, from acne-prone or combination to dry or sensitive and back again. Below, find your new favorite formulas, all French-born and -bred. Keep scrolling for our picks. This cult French moisturizer has exploded in the U.S. over the last few years, gaining popularity with celebs models, editors, and makeup artists alike. "I discovered Embryolisse by seeing it day after day in all of my makeup-artist peers' kits,” makeup artist Afton Williams, who works on campaigns for brands like Wildfox and grooms the likes of Ed Westwick, told us. 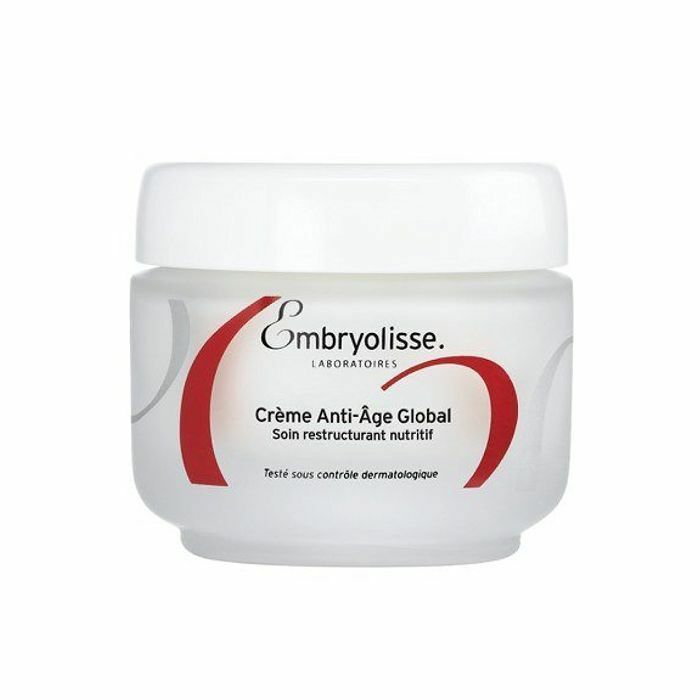 "I tend to avoid trying overhyped products, but I finally took the plunge and bought a small tube of Embryolisse Lait-Crème Concentraté ($16). It was love at first squeeze." The ingredients are great, a blend of shea butter and soy proteins to hydrate and firm, but the genius is in the finish. It offers up a soft-satin glow wherever it's applied. Take one look at the ingredient list of this anti-aging cream and you'll be sold: hyaluronic acid, olive oil, shea butter, aloe vera, and vitamin E. It's all so hydrating, nourishing, and plumping, we truly can't stop raving about it. The hyaluronic acid plumps and retains moisture while the olive oil and shea butter moisturize, soften, and keep your skin's lipid barrier intact. 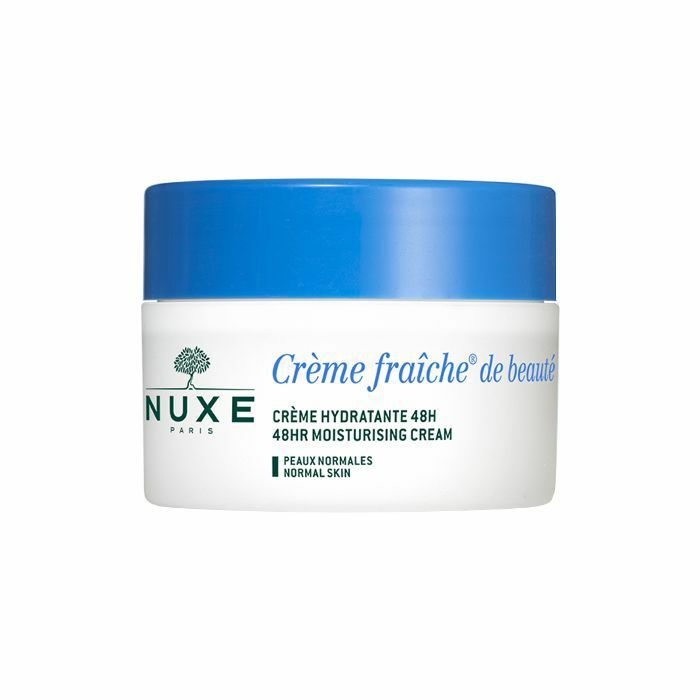 This cream is rich and opulent and feels cushiony on your skin each time you apply. Plus, it firms and smooths fine lines after continued use. If you're looking to revive dull and dehydrated skin (especially during winter), Embryolisse's emollient blend of beeswax, sweet almond, and sesame oils is your golden ticket. It works to rebuild your skin's lipid barrier to lock in moisture while vitamins A, E, and F neutralize free radicals for a brighter, healthier-looking glow. 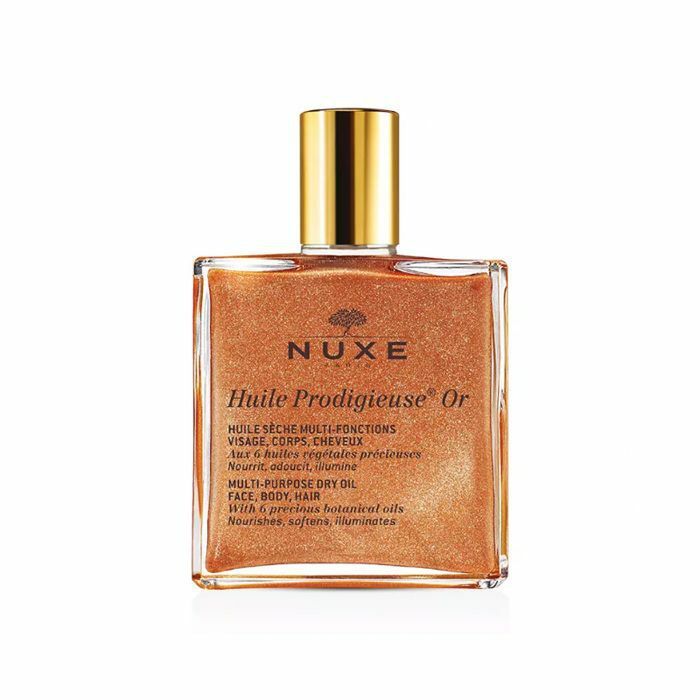 Nuxe's iconic multi-use dry oil has a shimmery counterpart, and it's so good. The formula contains tiny mineral particles to keep your skin glowy, reflecting, and catching the light each time you move. A mix of sweet almond, camellia, borage, hazelnut, macadamia, and argan oils. So yes, it's super hydrating and smells like a dream. Once applied, it goes on with a satin finish without ever feeling greasy. Infused with aloe vera and plant milks, Nuxe's soft, refreshing moisturizer reinforces your skin’s water reserves and maintains optimum hydration levels. This formula plumps, smooths, and diminishes fine lines. Plus, it smells incredible and feels so, so good. 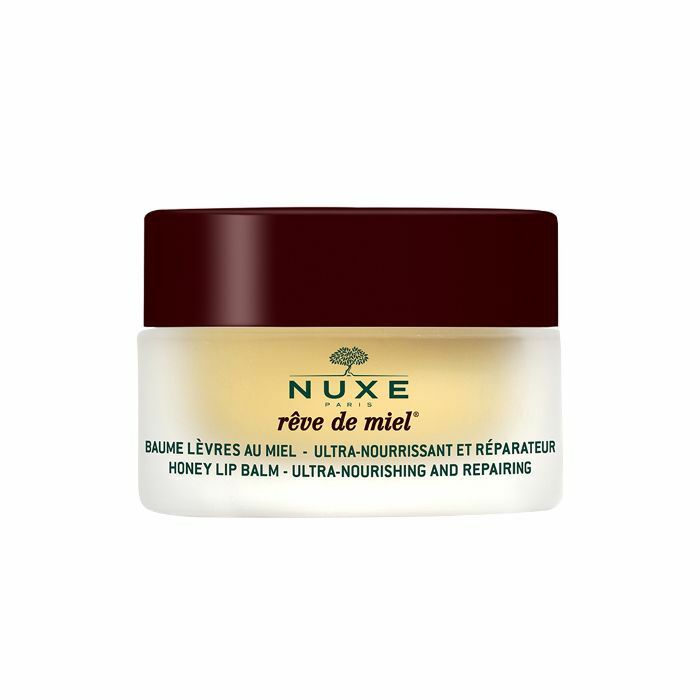 Nuxe's ultra-nourishing lip balm combines honey and botanical oils to immediately soothe, nourish, and repair dry or chapped lips. It practically melts into your lips for a luxurious, feel-good way to nix flakes or irritation. 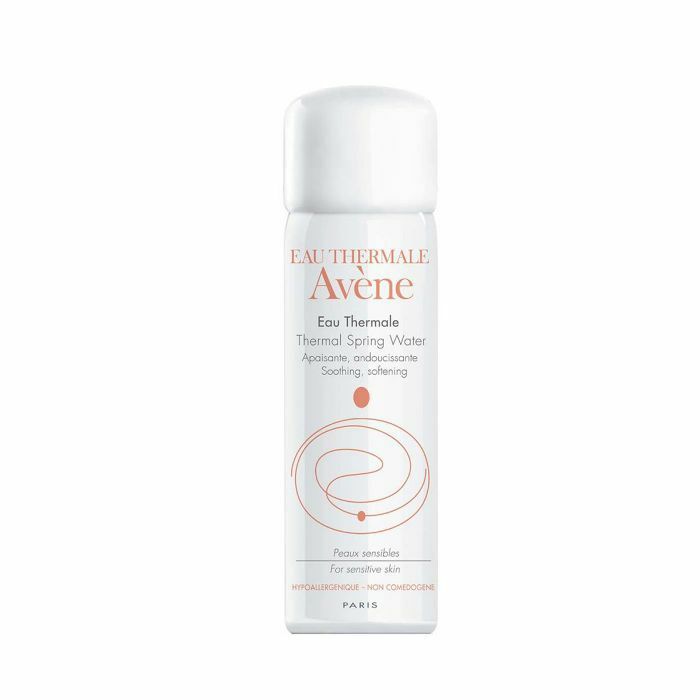 Avène's cult-favorite hydrating mist offers up minerals and silica to reduce irritation and leave behind a soothing barrier of lightweight moisture over your skin. It's great for a mid-afternoon refresh, setting your makeup, or adding a bit of glow before a night out. 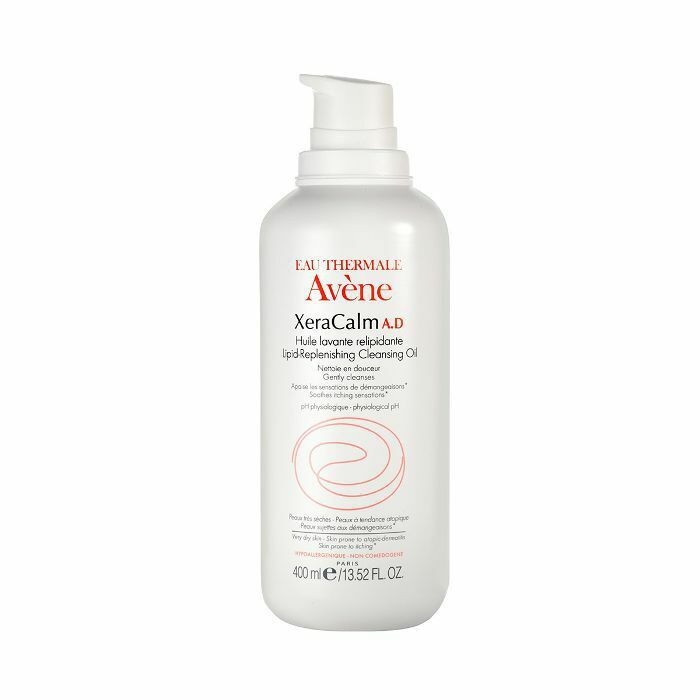 Use this gentle cleansing oil to calm, soothe, and alleviate irritation on your skin. 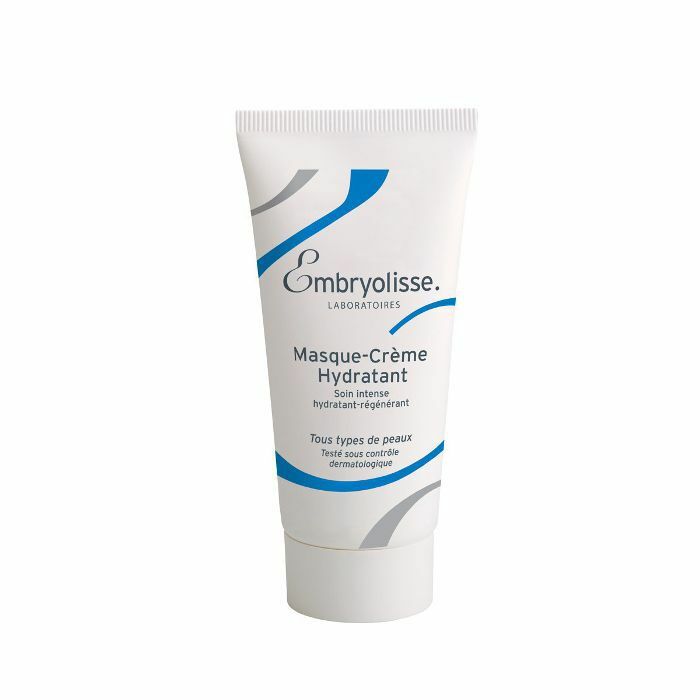 It's especially helpful for those with atopic dermatitis, eczema, and sensitive skin. The ingredients include AHAs for a gentle exfoliation, castor oil for hydration, as well as amino acids, vitamin E, and antioxidants. 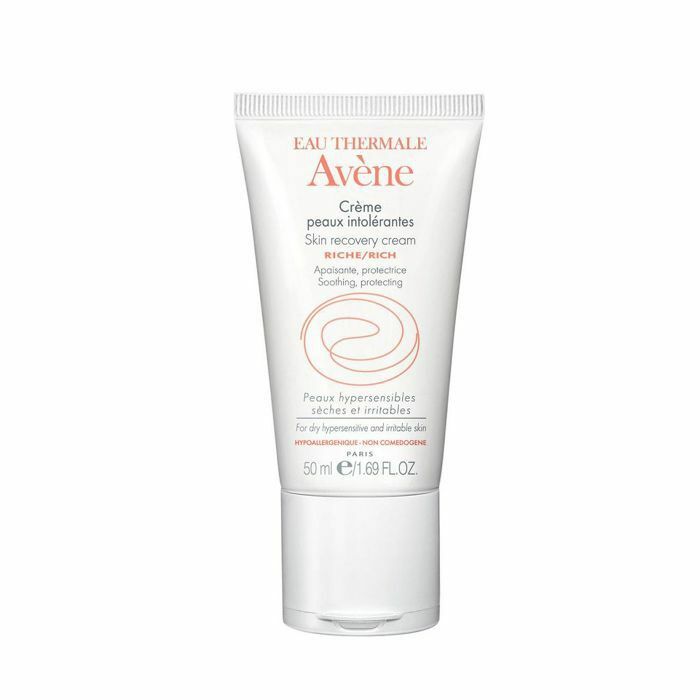 To calm dry, red, and environmentally damaged skin, try this cream rich in thermal spring water, amino acids, and shea butter to heal sensitive skin conditions like rosacea and eczema. It softens and boosts radiance. Caudalie's beauty elixir is one of the brand's most-purchased products, and for good reason. One spritz of this essential oil–infused, aromatic complexion treatment and you'll feel as relaxed and radiant as you would on a day to the spa. Rosemary, mint, and rose work together to tone, balance, and soothe your skin while grape extracts clarify and refresh. Beauty Elixir is the ideal setting spray between layers of makeup for a long-lasting and smooth finish, as well as a quick pick-me-up between the office and a night out. 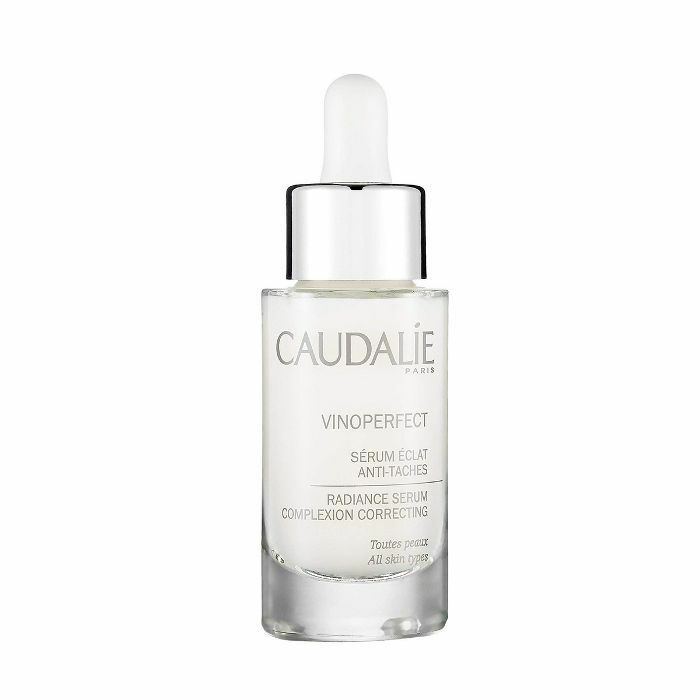 Caudalie's brightening serum is one of the highest-rated on the market, boasting a natural ingredient from grapevine sap that is 62 times more effective at brightening than vitamin C. Its lightweight, satiny formula absorbs quickly and works to fade acne scars, pigmentation, melasma, and sun spots. 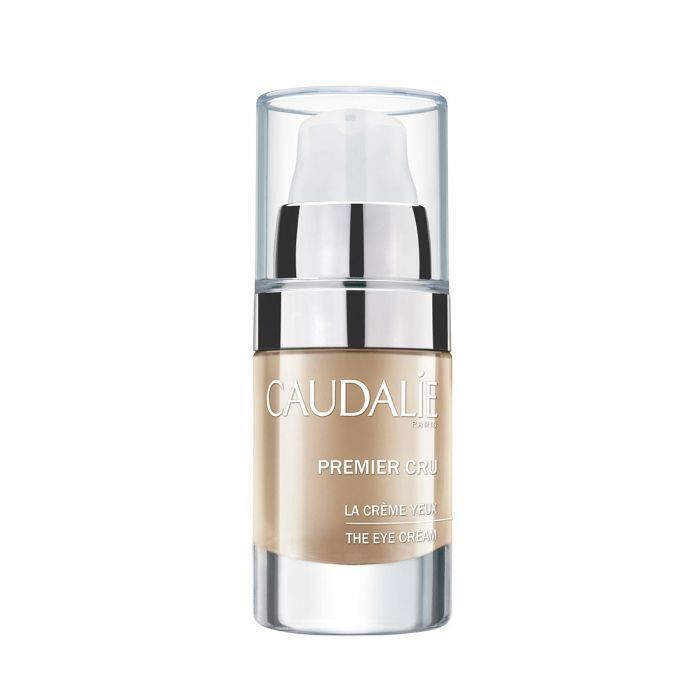 This eye cream targets dark circles, puffiness, and fine lines courtesy of an ingredient called resveratrol, meant to lift and firm; grape-seed polyphenols to protect against environmental aggressors; and natural pearlizers and soft-focus powders to reflect light and nix darkness under your eyes. This no-rinse cleansing and softening milk removes dirt and debris gently while maintaining the natural oils in your skin. It's super soft, moisturizing, and soothes any and all irritation or redness, offering up clean, hydrated, happy skin once you're finished. 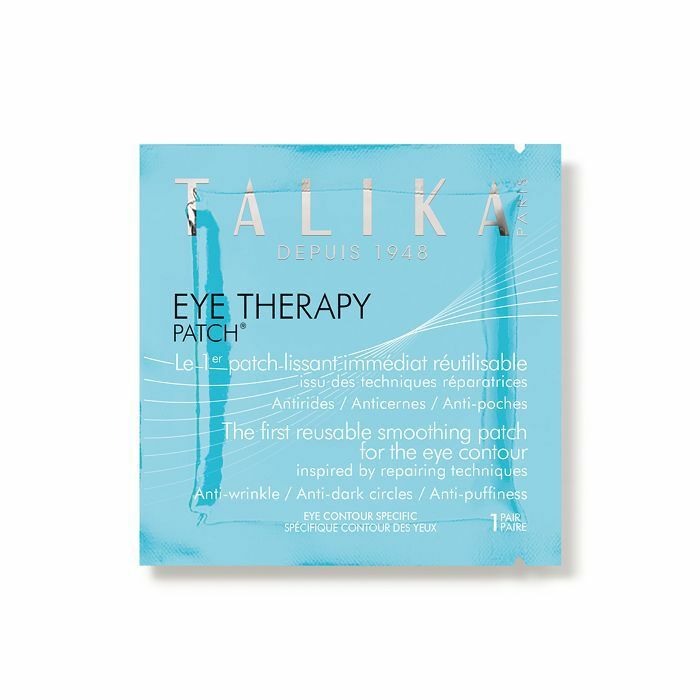 Talika's eye mask features a blend of essential oils including rose, safflower, avocado, and wheat germ to reduce inflammation and puffiness along the delicate skin of your eyes. After 30 minutes, you'll notice a fresher, more awake look, and over time, any lingering fine lines and crow's-feet will appear softer. FYI: They're a perfect accessory during a long flight to lock in moisture. For thicker, fuller lashes (without the hassle of extensions or falsies), Talika created this hydrating formula to soften your lashes while encouraging follicle growth. A blend of nettle, horse chestnut, allantoin, soy lecithin, witch hazel, and apple extract works to lengthen, heal, and restore your lashes to the flirty, fluttery accessories you've always wanted. Talika's one-time-use purifying mask helps to promote a clearer, more even complexion in just a few minutes. The formula includes naturally astringent and antibacterial botanicals (like grapefruit oil to minimize pores and balance oil production) as well as peptides, bamboo stem cells, hyaluronic acid, and vitamin E to hydrate and protect your skin. FYI: These six editors tried and reviewed the number one foundation at Ulta.